1. Ask your parents why they gave you your name. Did someone else in your family have your name? 2. Find our what your name means. Does your name have a special meaning? 3. 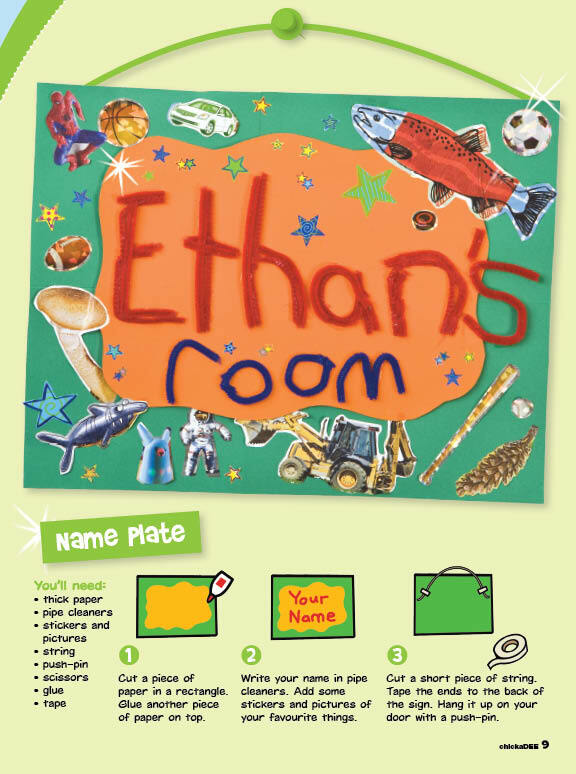 Make a fun name plate for your room. Click on the instructions below! Did you find out what your name means? Leave a comment below. Have fun! Looking for a great book to read this weekend? 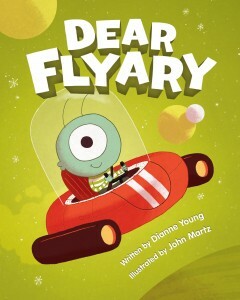 Check out Dear Flyary, written by Dianne Young and illustrated by John Martz. This book is all about a one-eyed alien, named Frazzle, who likes to record his flying adventures in his journal. Frazzle loves his little Model 7 spaceship, but when it starts making strange sounds, he’s faced with a big decision: should he trade in his spaceship for a new one, or keep it? 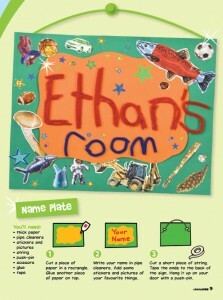 Zoom into this book to see what Frazzle decides! You may recognize the name John Martz because he also illustrated the hilarious story, Somewhere Ogre the Rainbow in the March issue of chickaDEE! Turn to page 22 of the magazine to check it out. chickaDEE’s March Animal of the Month is the panther chameleon. We chose this reptile from Madagascar because of its colourful skin and awesome abilities. Check out this video from the documentary “Life in Cold Blood”. It shows some of the panther chameleon’s cool moves! Wasn’t it cool how it could grab onto a leaf and just climb onto it? Let me know what you think of this month’s animal by leaving a comment below! In the March issue, we introduced you to an artist named Yayoi Kusama from Japan. 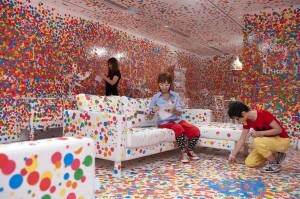 She loves making art with POLKA DOTS! 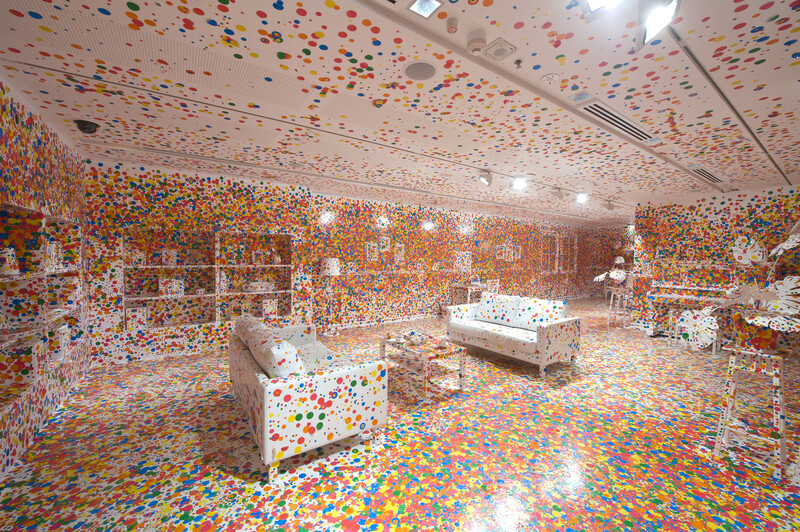 The Queensland Gallery of Modern Art in Brisbane, Australia is currently putting on an art show called “Look Now, See Forever” by the famous artist. In the show, there is a special art piece called “The Obliteration Room”. 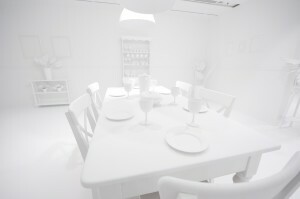 Back in November, Yayoi asked gallery visitors to help her finish off the cool art piece. See how below! 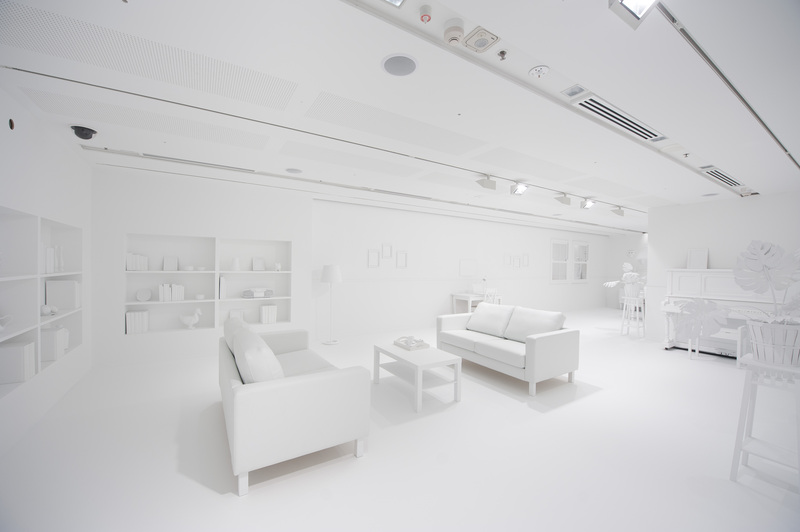 First, Yayoi painted a room completely white. And now the room looks like this! WOW WEE! The word obliteration (say: uh-blit-uh-REY-shun) means to wipe something out completely. 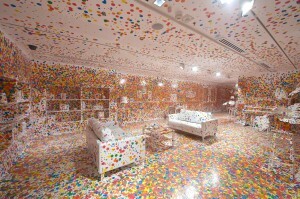 As you can see in this art piece, coloured dot stickers completely “wiped out” the white room! 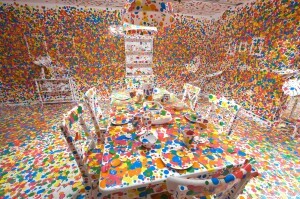 Check out page 9 of chickaDEE’s March issue for instructions on how to make your own Yayoi Kusama-inspired art. 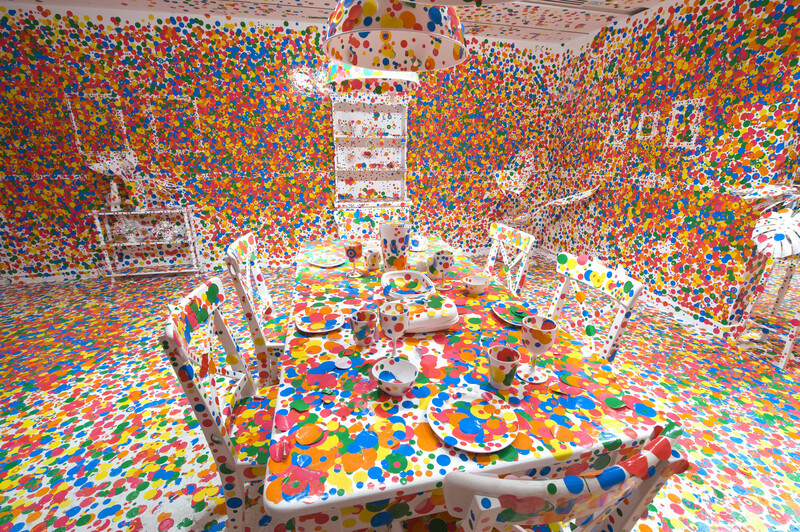 Or click on this link HERE to make your own polka dot room on your computer. If you’re in Brisbane, you can check out the art exhibition until March 11. In the March issue, we showed you some wacky art in the Did You Know section. One of the artists we introduced you to was Liz Hickock, an artist who uses Jell-O to make her squiggly wiggly art. Check out this video she made with the help of a grade 2 class. It’s a Jell-O city during a rainstorm! Cool, eh? What do you think of her jiggly art? Leave a comment below!